When working on a project you more often than not work with clients. 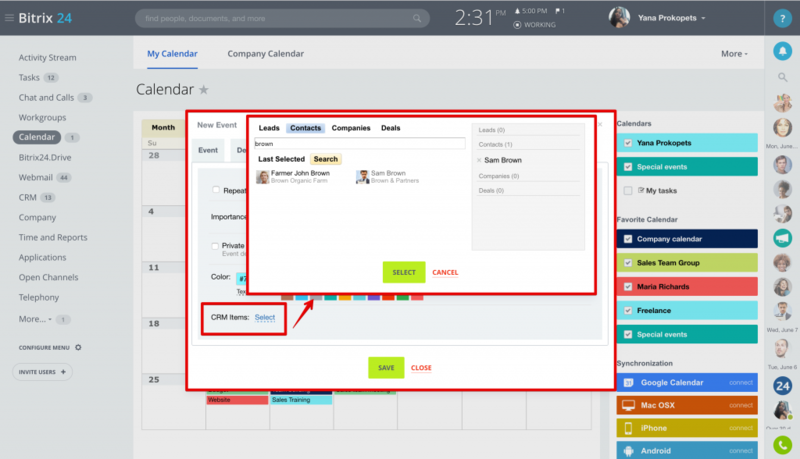 This means you need to integrate your CRM records date with project activity. 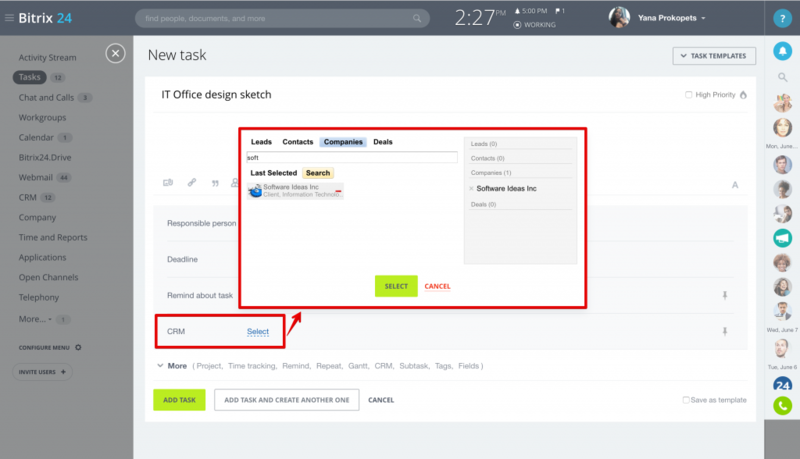 Besides a standard option to create tasks inside CRM records, you can also connect CRM records to the Workgroup Tasks or Calendar Events. To connect workgroup tasks with particular CRM records open task form, navigate to More > CRM option & select leads, contacts, companies or deals you'd like to add. 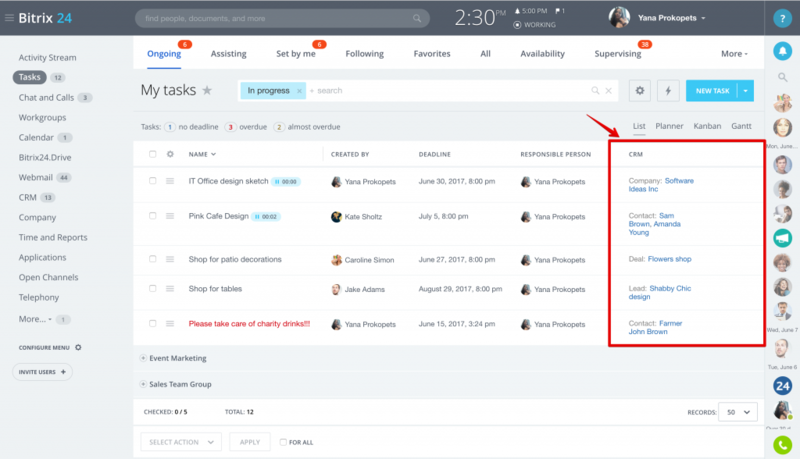 You can connect your task to several CRM records at once. You can connect workgroup events to the CRM records as well. Open workgroup Calendar & click Add to open new event form (or open existing event for editing). In new event form go to More > Select CRM items & add leads, contacts, companies or deals. You can add several items at once.